At Walker Acura, we realize that the majority of our clients are busy professionals that might not always have time in their schedule to make it to the dealership in addition to all their other daily obligations. With that in mind, as well as our commitment to complete client satisfaction, we would like to introduce our all new Walker Acura Concierge Service. Do I have to be a busy professional to take advantage of this service? Of course not! 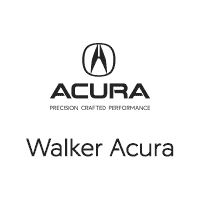 The Walker Acura Concierge Service is available to any and all of our existing or potential clients provided the meeting point is within a 15 mile radius of the dealership. You set the appointment and one of our professional sales consultants will come to either your residence or your place of business with the model of your choice, and give you a showroom quality presentation in the comfort of your own surroundings. To allow for driving time to and from the appointment, Walker Acura Concierge Service is available Monday through Friday from 10:00 AM to 6:30 PM. Due to heavy showroom volume, the service is not available on Saturday. Not a problem. With your permission, the consultant that comes to you will leave the unit you are considering with you and return to the store in your vehicle in order to have it appraised. Can I complete my purchase without coming into the store? Almost! Our consultant can bring the preliminary paperwork to you so that we can have the documents necessary to complete your transaction quickly and efficiently when you come to the store to take delivery of your new Acura!